There has been a fundamental shift in how brands are perceived and the value they provide. This is true in consumer and corporate brand arenas alike. There is truly a “different world” emerging in how brands build relationships with customers, consumers, employees, the media, the financial community and other important audiences. To understand the impact on brand strategies, it is important to understand what is changing. What Has Happened to Get Us Where We Are Today? Over the past four decades there has been a continual downward drift in the credibility of many institutions that we have admired in the past. Corporations have become places where employees are skeptical of messages from the leaders feeling that there may be a different agenda than the words often incorporated in a corporate email. Manufacturers, by the nature of offering everything from cents-off deals to deep discounts, have undermined the perceptions of the value of what they make or provide. The result has been a growing “tuning out” of messaging. Millennials are driven, to a large extent, by meaning and purpose. They are seeking something larger than themselves, the job they hold and the company they work for. If they don’t connect with fundamental purpose of a company and how it shapes a better world, they will leave. Recent research indicates that 71% of millennials say they are not emotionally or behaviorally connected to their job. Additionally, they want to use their skills for a greater good… 87% feel encouraged to volunteer or participate in their company’s cause work. Consequently, understanding the workforce is critical to building the future. In challenging times, two things can occur. First, brands tend to amplify and exaggerate their brand promises to ensure that their voices are heard above the crowd. This often accelerates customer frustrations as claims are often filled with over-promise and become unbelievable to key audiences. Second, brand marketers may become nervous and start to throw as many promises “against the wall” as possible hoping that some will resonate somewhere. This creates an atmosphere of uncertainty and wariness. 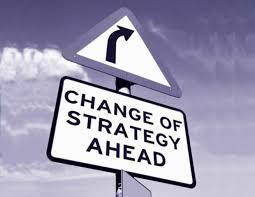 To succeed today’s world, it is imperative to resist overpromising and scatter strategies. Since the 1970’s, there has been a continual rise in discounting and promotional couponing. The result is that we have been sensitized that things can always be purchased at a lower price. Corporations and consumers know they can find and purchase goods and services below promoted price-points. One consequence is that “intelligent purchasing” has grown to become the new status symbol both socially in the consumer markets, and as reputation builders in B2B markets. This puts the burden on crafting a strong value proposition to mitigate price and build strong and loyal customers. This shift in emphasis is how company’s must differentiate in competitive markets today. Because of the access and availability of almost everything, at attractive prices, brand loyalty is often defined at the point a customer needs support. There are some companies that put the customer first and stick with them until a problem is solved. They tend to be market leaders. Because, in that moment when we need help, the way in which a brand responds to us says a lot about who it is and how it chooses to build a customer relationship. For a period, companies did not “see” the value of customer support as a brand-defining behavior, but this is changing. Today, strategies for helping customers and building longer-term loyalty through customer support have become brand-defining elements. An additional benefit is that customers will often pay for additional support, as long as it is superior and meets their needs. Technology has enabled the rapid growth of communities. They are critical as today we get our information and confidence from these communities, both consumer and corporate. So for brands to succeed, they must recognize the power and value of communities, and build strong and deep involvement in each to stay connected, knowledgeable and relevant. Smart companies today use communities to test ideas and concepts before putting enormous resources against new concepts. Not only efficient, feedback often provides new insights and innovative directions. Brands must be shaped in new ways. These new rules should become the “filters” used to create and evaluate brand strategies, communications and behaviors. Rule 1. Value must be communicated. Key audiences want to understand the value they receive by engaging with a corporation, product or service. This is as true in the B2B and B2C arena. Where lofty aspirational promises were part of some brand positionings, there has been a natural shift towards “value” as a foundational element. Customers and consumers have a much larger magnifying glass to evaluate price/value comparisons and will find it hard to justify a purchase without a very strong reason-why. Therefore, value has become a very important driver of preference. Rule 2. Finding and communicating a brand’s meaning and purpose is more important than ever. If a company or its brand does not communicate an authentic and relevant meaning or purpose, employees will not fully buy in and may ultimately leave. No longer are payroll, incentives and title enough. Today’s emerging workforce needs purpose in what they do more than ever. Further, as corporations strive to find socially responsible programs, consumers will applaud these efforts. Spend time on this important issue and build a long-term, committed and involved employee and customers. Rule 3. Determine the balance between “function” and “end-benefit”. For practical and emotional reasons, customers need to both understand the functional benefits of a brand and the end-benefit as well. Finding the balance is harder than ever, but understanding that there is a balance will guide brand development. Every category and industry is different, so there is not a cookie-cutter solution. The most successful corporate brands communicate functional benefits under a compelling end-benefit driven brand idea. Rule 4. Transparency and honesty are mandatory. There are two aspects to transparency; a) acting in a transparent manner, and b) communicating this transparency. In today’s world, both are imperative. This means changing internal behaviors to recognize the importance of being transparent, and communicating transparency in new ways. Customers will be looking at this aspect of their brand relationship as one important criteria for maintaining a relationship. Consequently leaders must ask: a) is my company/brand being as transparent as possible?, and b) are we communicating this transparency in a truthful manner? This is an important new filter for companies to meaningfully engage with their audiences. Rule 5. Messaging must be simple and clear. The hype of the past decade has left everyone breathless. In the new economy, brands must shed multiple claims, over-promises and implied benefits, and bring a new simplicity and clarity to messaging. It means creating new ways to evaluate existing messaging and developing communications strategies that isolate what is important and what should be shed. A changing brand landscape offers the opportunity to re-evaluate everything from communications and marketing materials, to focusing speech content and training materials. Rule 6. Express confidence and optimism through visual identity. In challenging times, it’s no surprise that people want to be uplifted. Because an identity is the visual expression of a brand, it should reflect a company’s core beliefs and strengths, and also signals an optimistic and positive attitude. This is a good time to take stock of both a company’s central identity, and also the rigidity or flexibility of the identity system. There may well be room for modifying an identity to project a more realistic and optimistic statement about the brand. Rule 7. Communities are critical to brand acceptance. Participate. The evolving shift from top-down to bottom-up brand influence is being further accelerated. Trying to build a brand alone is very difficult without the value of communities to create forums for learning, sharing, connecting, validating, and testing. Embrace how communities can help. Allow them to be democratic and not autocratic. Think of them as organic opportunities to connect. And while there is no perfect answer, participating will be a very strong way to ensure brand acceptance. Rule 8. Customer service can be a brand-defining attribute. For many companies, the critical touch-point where a brand is defined is when customer service and support is needed. For example, when there is a technical issue, or a product doesn’t work, or there is a general “how to” question, this becomes the seminal moment where a brand can build a bond and relationship or turn a customer off. It is a touch-point loaded with skepticism and hope at the same time. Successful brands of the future will embrace the importance of this interaction and think about building world-class customer service rather than merely adequate, competitive levels of service. As the rules for brand strategies are shifting, it is up to smart leaders to evolve their brands into this new environment. Using these rules can be very effective in shaping brands to capture and sustain leadership.